This little feature was published back in the summer of 2013. Austin Healey, as you can see, gives good copy. Sports people, generally, can be rather dry. The commitment, the single mindedness, often doesn’t do much for personality. Again to Tigers, that doesn’t go for Cockers. The Tigers coach was lovely for a natter. Austin Healey does not do silence easily. His Twitter account is a day-by-day concern and, as his personal megaphone to the world, the former Tigers player reveals it’s been taking a lot of flak of late. The flak, you could argue, was inevitable. Especially when earlier this year Austin bet every man, woman and child in Wales a pound that England would triumph over the Red Dragons in the Six Nations. “I did a few tongue-in-cheek things about Wales having 10 men (in the British Lions’ squad) and got about 100,000 death threats,” says Austin, who’s at home in Leicestershire, and in the middle of moving house. “It was a joke, you know what I mean,” explains the 39-year-old with a shrug of his ox-like shoulders. “If people can’t see sport for what it is, they need to go and get a bit of a grip. The Leicester Lip – if it needs to be reiterated – didn’t earn his nickname because he’s a fantastic snog. Oh no. It’s because Austin and that mouth of his are dreadful at avoiding headlines. If there’s another rugby player who enjoys jabbing an insistent right here finger at his own jawline more than Austin Sean Healey, the planet has yet to meet them. 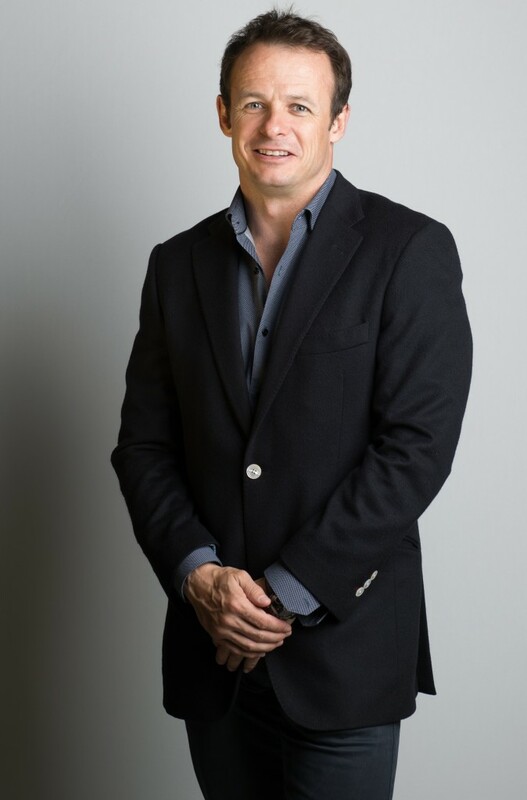 It’s Healey’s perennially outspoken nature that his new employer, BT Sport, will be hoping to put to good use when the erstwhile Leicester Tigers hero takes up his new role as rugby ambassador when the channel launches on August 1. As for Healey’s detractors, well, don’t expect a grovelling apology any time soon. As the father-of-four spells it out himself, he’s “never given a stuff” about what others think of him. Although, strictly speaking, that’s not exactly true – there are at least five people in this world whose opinions count: his wife Louise and daughters Ellie-Mae, Daisy, Betsy and Bibi-Dee. After all, he says, if it wasn’t for Team Healey’s persistent nudging he wouldn’t have accepted some of the more unusual offers that have come his way since injury forced him to permanently peel off his tiger stripes at the end of the 2005/2006 season. Without their input, he says, the past seven years wouldn’t have been half as much fun. His versatility on the pitch – Welford Road’s Mr Benn – saw him leaving the dressing room in an array of different guises, be it scrum-half, full-back, winger or fly-half. So when his agent presented him with BBC ratings winner Strictly Come Dancing five years ago, and the chance to relearn his definition of the body swerve, it was the all-important family vote that was the decider. As for “banking weight” it’s a little known fact that for three years following his playing career, Austin was doing the soul-starving commute to Canary Wharf. It was where he worked as an investment banker and then a venture capitalist. It was, financially-speaking, a great move. Spiritually-speaking, it was a barren pit. There he was, a man used to the spotlight and the warm glow of public prestige, wearing an invisibility suit, going to and from work every day in a train full of people, wishing he was somewhere else. “It was a great learning experience,” he says, in hindsight. “I’d had a very prosperous time there. I left because I’d learned enough from it and I didn’t want to be in a large corporate environment. I wanted to have some experiences and some fun. So when the chance to be a team captain on BBC1 show Hole in the Wall came up, he agreed. The show’s a Japanese origin telly programme where celebrities clad in silver Lycra mimic different shapes to squeeze through a moving foam wall. “My daughters told me to do it – it was their favourite show,” he reveals. They filmed the entire series in six short days. Which meant Austin had a week off with his kids in Scotland and all of them got to splash around together on the TV set. Yes, there he was, a national and international sporting hero and a successful businessman, making shapes before a studio and TV audience of millions, wearing what appeared to be a vacuum-packed silver onesie. Were there any telly offers you turned down? “Is there anything my integrity won’t allow?” he deciphers, with a laugh. His latest television role sees him in a much more familiar setting and, well, familiar clothing. As a rugby ambassador for BT Sport he’ll be back on home ground and wearing, thank goodness, everyday jacket and jeans. Austin has big plans for his latest role, which will see him scrum down with a pretty decent line-up which includes host Craig Doyle, pundits Nick Mullins and Alastair Eykyn, and rugby experts Lawrence Dallaglio, Matt Dawson and former Tigers alumnus Ben Kay. Austin will be doing the in-game and end-game analysis, co-commentary and, yup, punditry. Now, Austin’s hoping The Wednesday Show, with all the sport’s previews and highlights, will prove a breakaway success for rugby’s frequently silent majority. Often, thinks Austin, there’s an unwritten rule which says that followers of rugby should obligingly keep their thoughts and feelings to themselves. He doesn’t know why that is. It has long been a source of frustration and bafflement. Take Tigers, as an example he says. At Leicester, with the away fans, there is the bias and the rivalry. Take the traditional sparring with Northampton. It’s something he knows plenty about after 248 appearances in a striped shirt. Those tussles are part of the colour and the heritage of the game and that’s just a fraction of what he’s hoping to condense into his airtime on BT Sport. In real terms, he wants rugby to get the sort of expression on television that has long been enjoyed by football. “Football is a very simple game to watch,” he adds. “You get far more from watching rugby than a game of football. There are far more incidents in a rugby match compared to a 1-0 game of football. As for the imminent emergence of BT Sport, it’s not really about trying to bog wash Sky Sports in the ratings. As a channel, Sky has never got to grips with rugby. Better still is the fact the Aviva Premiership Rugby champions will be starting their title defence live on BT Sport on Sunday, September 8. It kicks off at 2pm, with Tigers at home to Dean Ryan’s Worcester Warriors. The channel’s first live game will see Newcastle take on Bath on Friday, September 6. The earlier mention of football draws something of a tortured sigh from Austin. “I come from a football background,” he admits. And yet watching the rugby wins hands down. “There’s no police and no segregation and, you know, you can take a pint of Guinness on to the pitch. It’s worth mentioning that when Austin did his charity spin on Mastermind, Everton Football Club was his specialist subject. “I’d love to take my daughters to a football match,” he says and yet he won’t, not when there’s “profanity every 30 seconds”. He’s been saying every season since he retired from rugby that he’ll catch a game at Goodison Park. It’s not happened yet. Revealingly, as an interviewee, Austin doesn’t do hesitation. He doesn’t do uhms or arrs. He doesn’t pause. His calendar is much the same. Every day is spoken for. He admits Lou would rather see him spend more time around the home, but, he says, she saw what it was like for him when he was working in London. A caged Austin is not a happy Austin. These days, he has managed to effect a workable business to rugby ratio. From Monday to Thursday he’ll be looking at renewable energy balance sheets – he’s a partner in international renewable energy company MAP Environmental – and Friday to Sunday he’s all about the sport. In the meantime, there’s the house move to contend with. Ellie-Mae, his eldest, starts at Oakham School next term, which means that eventually so will her sisters. And with that, says Austin, he needs to keep working to pay for the fees. Although let’s not be crass here, it’s not as if the man from the north west has ever been short of a bob or two. When he signed a contract with Tigers in his final year at Leeds Metropolitan University, his starting wage was nudging £110,000. As regions go, Leicestershire and Rutland are counties he’s grown to love and it’s a mutual two-way relationship. 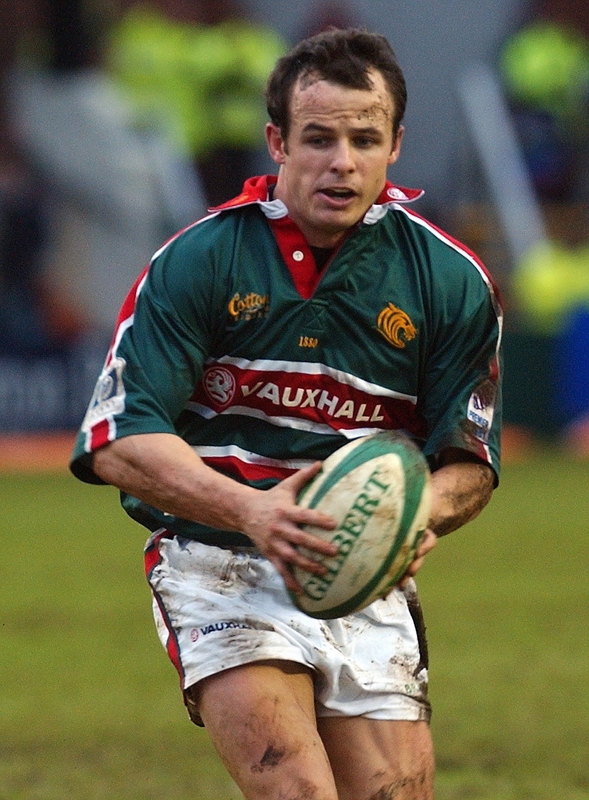 Those perennial Leicester fans, who shimmy through the turnstiles with a swipe of their electronic membership cards, won’t forget the Austin Healey of the great Tigers side which claimed four successive Premiership titles. Who also won the man-of-the-match award in successive Heineken Cup finals. The one who also made the last-minute break to set up the clinching score in Paris in 2001 and added a try of his own as Tigers became the only team to retain the trophy 12 months later. Tigers v Leinster January 2002. That same gob-on-legs who was part of a Pilkington Cup winning team and was capped 51 times by England and who played two Tests for the Lions. The memories live on. Austin will again be facing the Wallabies when an assortment of big names line up for the Lions Legends charity game in November. The word on the grapevine, he says conspiratorially, is that those Down Under are taking the match very, very seriously. Although the last time he put in a full 80 minutes was at last year’s clash. “I was slower than I would have liked to have been,” he admits. At that, talk unavoidably turns to the Lions’ hair-tearing tour earlier this month and their victory in the deciding game against Australia. Beforehand, and in a short film for BT Sport posted on YouTube, Austin was asked for his prediction. “I think Australia will win and will win comfortably,” he responded. Mention of the matches Down Under changes the atmosphere as surely as the news of a sudden bereavement. Austin’s voice betrays the frustration of the recent series and what he saw as the “lacklustre midweek games” and the increasing Antipodean apathy to the sport. The Pacific Rim, Canada, USA, Fiji, Tonga, Samoa – that’s where the game now needs to cast its net, he says. Yup, it looks like those lips are going to be busy. BT Sport launches on August 1 and has 69 Aviva Premiership Rugby games. Tigers v Worcester will be broadcast live on Sunday, September 8.